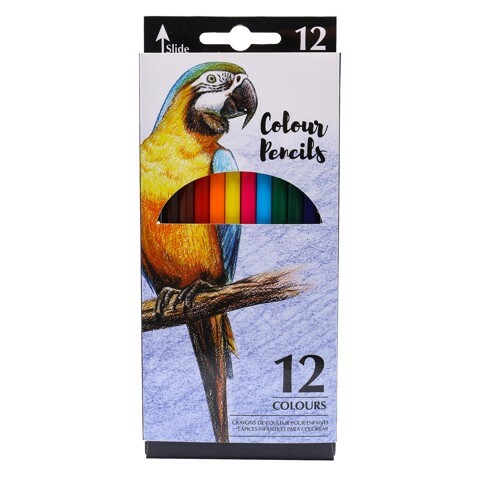 Colour Pencils Kids 12Pk Box. 17.5cm L x 7cm W. Blue|Purple|Green|Light Green|Light Blue|Pink|Yellow|Orange|Red| Brown| Dark Brown| Black. Soft Wood. 87.5G Packaging: Hang Sell Colour Box.